I'm looking for suggestions on how to configure the CGR 30-P for the Super Cub. It seems to have way more possibilities than needed for a simple fixed pitched gravity fed aircraft but I like that all the primary instruments are in one spot and simplifies panel layout. The configuration work sheet is a little confusing with conflicting wording regarding possible screen configuration. For those that have done it, any suggestions or things you would have changed? I really like having the fuel flow on the primary screen, after awhile I got to where I quickly lean to a flow then fine tune with temps. I am an EI dealer and have sold and installed several. They way I prefer to configure in the Super Cub is RPM ans Fuel Flow on the two top arcs, the CHT/EGT graphs are on the left and Oil Temp/Pressure and Volts and Amps. Second pageusually OAT, Flight Timer, Eng Time, Tach Time and Zulu time. I don't usually install the provided warning lights in the Super Cub panel since the gauge is right in your field of view already. EI use to have Kirby's Super Cub panel on their website but I can't find it now. 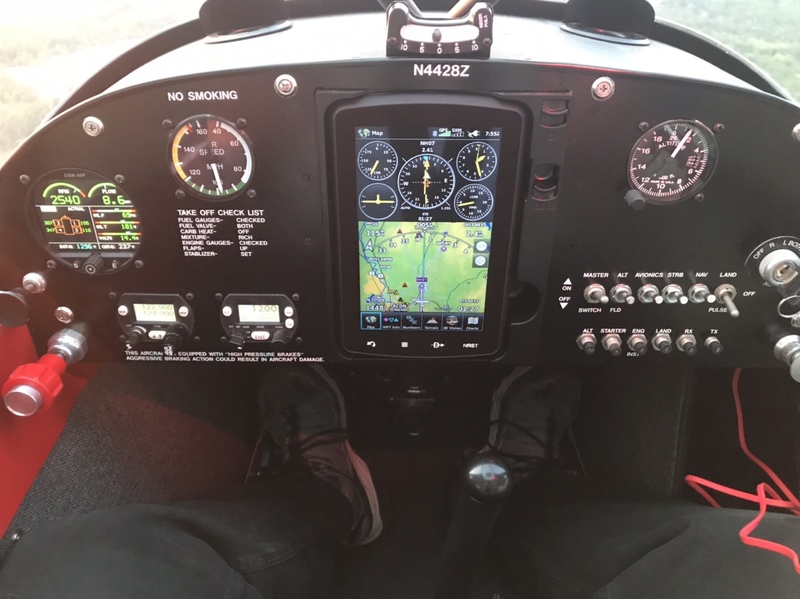 It was fired up with the Garmin 796 in place. Is the CGR 30 an approved replacement for my current temp and RPM gauges in my certified PA-12? I just converted to an 0-320 and would like to have better temp info while adding panel space. Also does anyone here have an estimated cost of install? It is approved to replace all engine instruments along with the amp meter, I would say 2-3 days to install.